Clear differences in growth stages are evident between the October and November drilled crops at Syngenta’s Beeswax Innovation Centre. 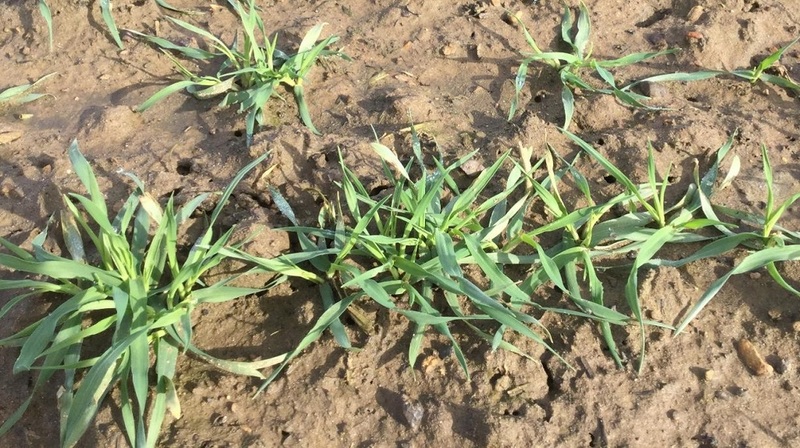 This is particularly clear in the winter wheat, with the October plots several growth stages ahead of the November drilled plots. Within those plots, Shabras, a variety suitable for late drilling, is further forward than Gleam. Graham is a variety more suited to an earlier drill date before the end of October. At this stage, it is the least advanced, but known to move through the growth stages very quickly after GS31 and mature early. Plots for all three varieties treated with Vibrance Duo are better established than those with an alternative seed treatment. In the October-drilled barley plots, the hybrids are nearing GS30 and are greener than the conventional barley, with nitrogen having now been applied. 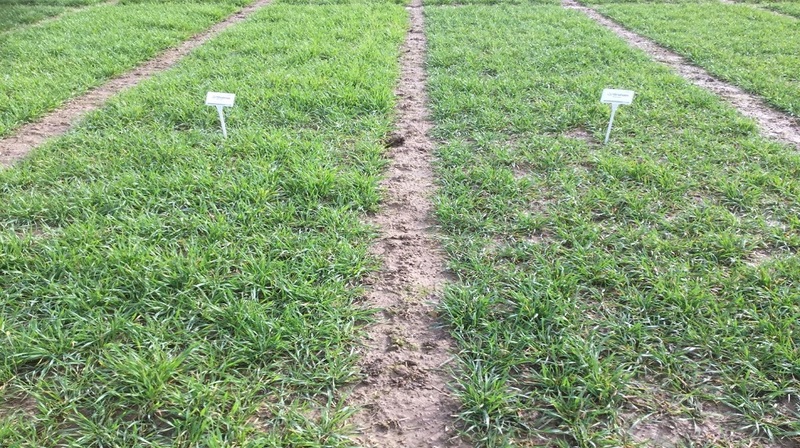 With the possibility of a current insecticide seed dressing no longer being available in the future, trial plots were drilled later than usual in November, to see how the barley performed. Drilling as late as November may help avoid barley yellow dwarf virus (BYDV) aphid transmission. All the trial plots, hybrid and conventional, have established well, sitting at GS23-24. Although conditions remain wet, we’re seeing good establishment across the site, with varietal differences as expected at this stage. 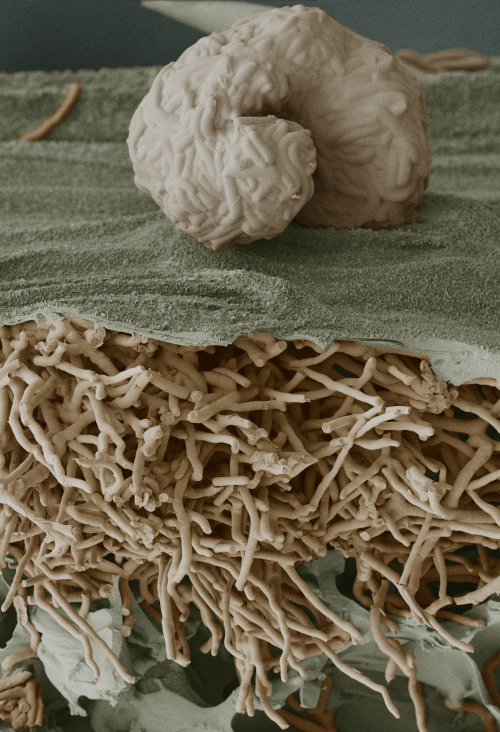 Infections are apparent across the site with Septoria, mildew and brown rust easy to find. 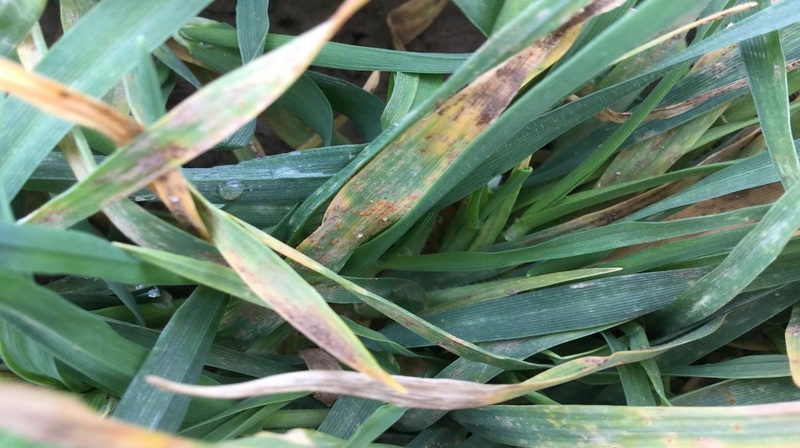 Yellow rust is harder to spot since the cold snap although some was found again at Beeswax this week in the later drilled winter wheat.